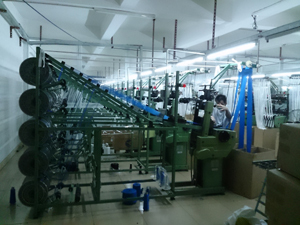 FU JYI LIN ENTERPRISE CO.,LTD.IS AN MANUFACTURER AND SUPPLIES IN TAIWAN & CHINA. 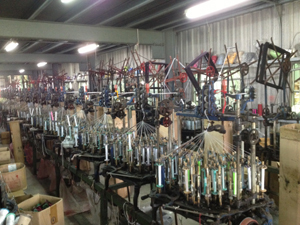 A COMPREHENSIVE RANGE OF TEXTILE FABRIC,TEXTILE MATERIALS. 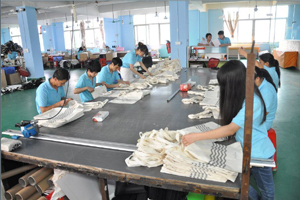 Shopping Bag - Paper Bag, Canvas Shopping Bag, Cotton Shopping Bag, Non-Woven Shopping Bag, Oxford Bags, Folding Bag, Pouch Bag, Cosmetics Bag, Garment Bag, Drawstring Backpack, Laminated Bag, Acupuncture Non-woven Bag, Non-woven Bag , Re-Useable Bag , Shopping Bag, Shopping Bag. 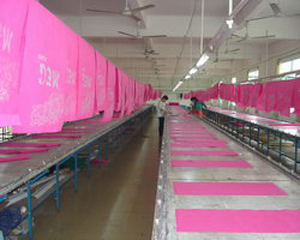 Fabric Textile - Non Woven Fabric, Microfiber Cloth Towel, Coolcore Sport Fabric, Microfiber Cleaning Cloth, Flannel Fabric,Fleece Fabric,Canvas Fabric, Woven Fabric, Knitted Fabric, Oxford Fabric, Twill Fabric, Velvet Fabric, T/C Fabric, Sandwich Mesh, Denim Fabric, Jacquard Denim Fabric, Stretch Fabric, Plaid Fabric, Polyester Plaid Fabric, Nylon Plaid Fabric, Satin Fabric, Lace Fabric, Linen Fabric, Mesh Fabric, Camouflage Fabric, Cotton Linen Fabric. Webbing Tape—Jacquard Webbing, Nylon Webbing, Polyester Webbing, PP Webbing, Cotton Webbing, Velcro Strap, Mattress Tape, Velcro Tape, Acrylic Webbing, Mobile Phone Strap,Cell Phone Strap, Neck Lanyard, Grosgrain Webbing, Binding Webbing, Piping Tape,Printed Webbing, Knitted Webbing, Medallion Strap, Camera Strap, Luggage Strap, Dog Collar,Harness,Leash, Braid Webbing, WaistBand Lining, Curtain Webbing. Ribbon Tape—Jacquard Ribbon, Printed Ribbon, Polyester Ribbon, Nylon Ribbon, Grosgrain Ribbon, Wire Edge Ribbon, PP Ribbon, Organza Ribbon, Paper Ribbon, Bouquet Ribbon, Velvet Ribbon, Metallic Ribbon, Printed Sheer Ribbon, Plaid Ribbon. Elastic Band—Jacquard Elastic, Sofa Elastic, Woven Elastic, Knitted Elastic, Silicone Elastic, Fold Over Elastic, Braided Elastic, Printed Elastic, Colored Elastic, Underwear Strap, Velvet Elastic. Reflective Material - Reflective Fabric, Safety Reflective Vest, Reflective Tape. Lace Trimming— Stretch Lace,TC Lace, Cotton Lace, Nylon Lace, Elastic Lace, Embroidery Lace, Toshin Lace, Raschel Lace, Necklace Lace. Rain Gear - Folding Umbrella, Rain Umbrella, Rain Suit,Rain Pant, Rain Shoe & Boots. Rope Cord— Cotton Cord, Polyester Rope, Nylon Cord, Jacquard & Printed Round Cord, Elastic Cord, Chinese Knot Cord, Twisted Cord, Rayon Elastic Cord, Twisted Rayon Cord, Wax Cord, Cord Handle, Elastic Hook. Ribbon Bow— Pull String Bows, Fancy Pull Bows, Satin Ribbon Bows, Confetti Bows , Other Fancy Bows , Gift Bow Sets, Elastic Loop, Stretch Loop, Bow Ties, Decorative Gift Bows, Mini Rosettes & Bows, Flowers With Elastic Loop, Rosette Made Of Poly Ribbon, Organza Sheer Ribbon Bows. Trimming Braid— Metallic Braid, Knit Braid, Fringe Trim, Shoelace, Tissue braid, Cotton Braids, Curtain Fringe, Christmas Metallic Braids, Round Braids. Yarn Fiber - Polyester Yarn, Nylon Yarn, Cotton Yarn, Yarn Stock Lot. Giftware Accessories-- Key Holder chain, Badge Holder, Key Carabiner Hook, Key Ring. Textile material -Sewing Thread, Bracelet Accessories, Curtain Accessories, Button Accessories, Shoulder Patch, Belt Buckle Accessories, Apparel Label, Nylon Zipper, Microfiber Leather, Label Clothing, Shoulder Pad, Tailor Chalk, Reflective Transfer Label. Textile Product-Gift Wrapping Paper, Velcro Lunch Box Tape, Belt Dress, Goggle Eyewear, Shoes Footwear, Suspender Webbing , Safety Reflective Vest, Cotton Sport Sock,Travel Luggage, Hat and Cap, Hair Tie, Table Cloth, Suit Tie, Sport Wristband, Christmas Decoration. Paper Cups and Bowls – Drink Paper Cup, Double Wall Paper Cup, Ripple Paper Cup, Paper Bowl, Plastic Cup, Hot Paper Cup,Cold Paper Cup.